to ensure 100% data safety while resizing partitions. All-in-one disk partition management toolkit for home and business usage. Works on Windows 10, 8.1, 8, 7, Vista, XP. Best Partition Magic alternative for Windows PCs. The magic server partition manager software for Windows Server/SBS/Home Server 2016/2012/2011/2008/2003 (R2). 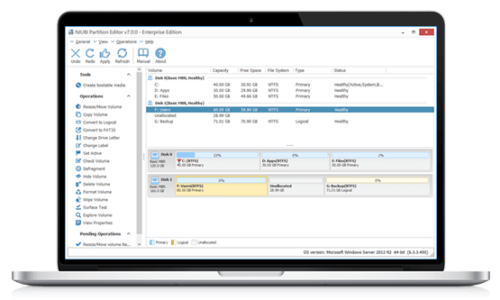 The best replacement of Partition Magic for Windows Servers. Covers all the features of Server Edition, specially designed for medium/large companies. It allows unlimited installation to PCs and servers in your organization to save time & money. 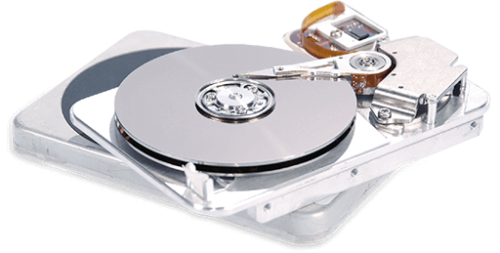 Complete disk partition management toolkit designed for IT service provider, technicians and consultants to provide profitable technical services to clients. 1 copy for unlimited computers. Resize Partition, Allocate Free Space to extend system C drive easily. Merge partitions, split large partitions. Completely copy partition to back up or migrate data, fast and easily. Convert MBR disk to GPT, convert Logical partition from/to Primary. Convert NTFS partition to FAT32, etc. Volume defragement, find and fix file system error, bad sector scanning, etc. Erase data in single partition, entire disk or Unallocated space to protect sensitive file without recovering by others. Create bootable CD/DVD/USB disk to use without installing. All editions are integrated Enhanced Data Protection technology to protect your system and data intact. Everything keeps the same after partitioning. Hot Resize enables you to extend NTFS system partition without rebooting (close other applications before running this program). All operation tasks you do are in virtual mode, you can preview and change any steps before clicking “Apply” to execute. Unique file-moving algorithm helps resize partition 30-300% faster than other tools. Internal/External hard disks, Hyper-V, VMware, all types of Hardware RAID array such as RAID 0, 1, 5, 10 are all supported.